The 40th Rilton Cup, managed by the Stockholm Chess Federation, was played from 27th December 2010 to 5th January 2011 at the Mälarsalen in Stockholm, Sweden. 70 players, led by the Super-Grandmasters Arkadij Naiditsch, Ivan Sokolov, Bartlomiej Macieja and Emanuel Berg competed in the main Rilton Cup. In addition, 82 lower rated people entered the Rilton Elo event. The earlier Rilton Cup winners Radoslaw Wojtaszek and Eduardas Rozentalis were not in the starting list. Russian Grandmasters Sergey Volkov and Aleksandr Shimanov dominated the tournament with a series of victories and entered the final round being full point ahead of the opposition. Volkov then takes the great performance further by beating the Polish Grandmaster Bartlomiej Macieja with black pieces. Meanwhile, Shimanov drew GM Ivan Sokolov. Thus Volkov takes a clear first place with impressive 8.0 points from nine games, half a point clear of the second-placed Shimanov. Then a full point behind are top-seed Arkadij Naiditsch, Swedish GM Lars Karlsson and another Russian, GM Sergey Ivanov. 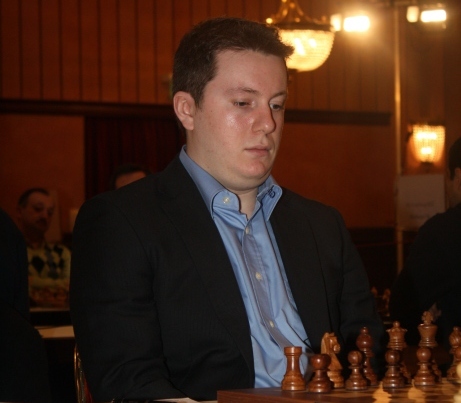 Hans Svedberg won the Rilton Elo event by collecting 7.5 points from nine rounds. The 40th Rilton Cup, managed by the Stockholm Chess Federation, launched today at the Mälarsalen in Stockholm, Sweden. 70 players, led by the Super-Grandmasters Arkadij Naiditsch, Ivan Sokolov, Bartlomiej Macieja and Emanuel Berg are competing in the main Rilton Cup. In addition, 82 lower rated people entered the Rilton Elo event. The earlier winners Radoslaw Wojtaszek and Eduardas Rozentalis are not in the starting list. The tournament finishes on 5th January 2011.